Have you heard of the American smash-hit TV show Say Yes to the Dress? Well, folks (and especially brides-to-be), it's coming to the UK and YOU can be on it! London style guru Angela Scanlon penned her first column for Who What Wear UK and basically tells you to raid your dad's wardrobe this Easter weekend. The easy-peasy outfit we used to wear every day in the noughties made a major comeback—and, even better, you already own all the pieces required. We got kind of obsessed with the eye-dea, sorry, idea, of doing eyeball exercises. Honestly, you need this in your life. 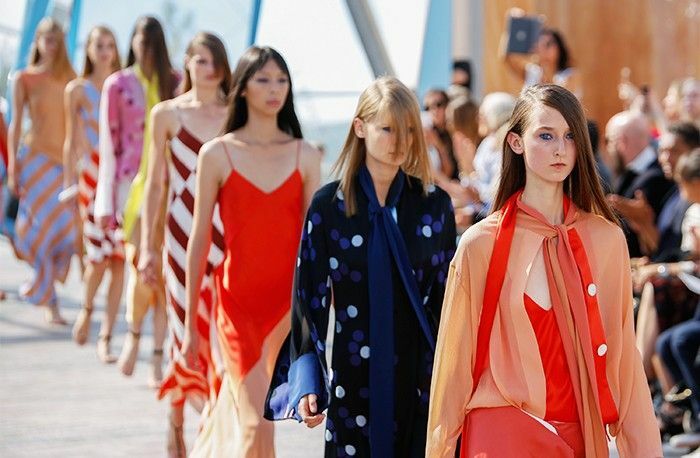 Rumours circulated left, right and centre that Jonathan Saunders (who recently folded his eponymous line), could be headed to Dior. And if Selena Gomez (who, let's face it, could own anything) has three of the same dress in different colours, it's pretty important to pay attention.